SiJ is the ambient project of Vladislav Sikach. He’s been a prolific player in the ambient / dark ambient scene for the last few years. After self-releasing a number of albums, SiJ has made his way into the Cryo Chamber roster of dark ambient musicians. This very concept of joining a dark ambient label has clearly reflected a shift in the sound of SiJ. Where previously there was abundant piano work and more positive and celestial field recordings and drones, he has shifted to a style which still has many of these elements, but they are used in a different way. His first encounter with Cryo Chamber delivered a brilliant performance. The collaboration with Textere Oris, Reflections Under The Sky, featured cold, rainy elements. The music had a thick emotional texture, yet the sense of darkness came mostly from the choices of environment. His latest release, The Time Machine, takes on a story-driven cinematic experience. As we move further in the album the protagonist will make several stops and revelations. “A Place to Live” and “Floating Clouds” have clearly positive vibes, much like the opening track. While “In Ancient Times” gives us a glimpse into the distant past. Sounds of oscillating whispers and a distant drumbeat help to paint the picture of this early stage of humanity, when it still had tribal foundations. Proceeding to the second half of The Time Machine, it is obvious that things are taking a turn for the worse, thematically speaking. “Realm of Eternal Rain” and “Particulate Matter” both feature prominent sounds of rain. As the one track moves into its successor, we can sense a darkness enveloping the landscape. Feelings of isolation and loneliness take the lead as the drones take on a fuller, more ominous feel. “Morlock’s Path” dives into full darkness. The Morlocks of H.G. Wells novel are a subterranean people, working ceaselessly in deep mine shafts. We are cued to the changes by what starts with sounds of hooting owls, alluding to a night-time on the surface of our world, which soon recede, giving way to dripping waters, hollow drones, and the occasional metallic hammering, all seeming to represent the mine works. The darkness quickly becomes all encompassing on “The Death of the World” and “Visions of Hell” as we go deeper into the Earth. All the while, hearing the mining activity all around us. The albums ends with “Shine of Dark” as we return to the surface of the Earth, cuing the return of rain and gentle chimes. Yet, the darkness never lets up as the album draws to its close, conveying a sense of an bleak end to Earth, an inability to right the wrongs. 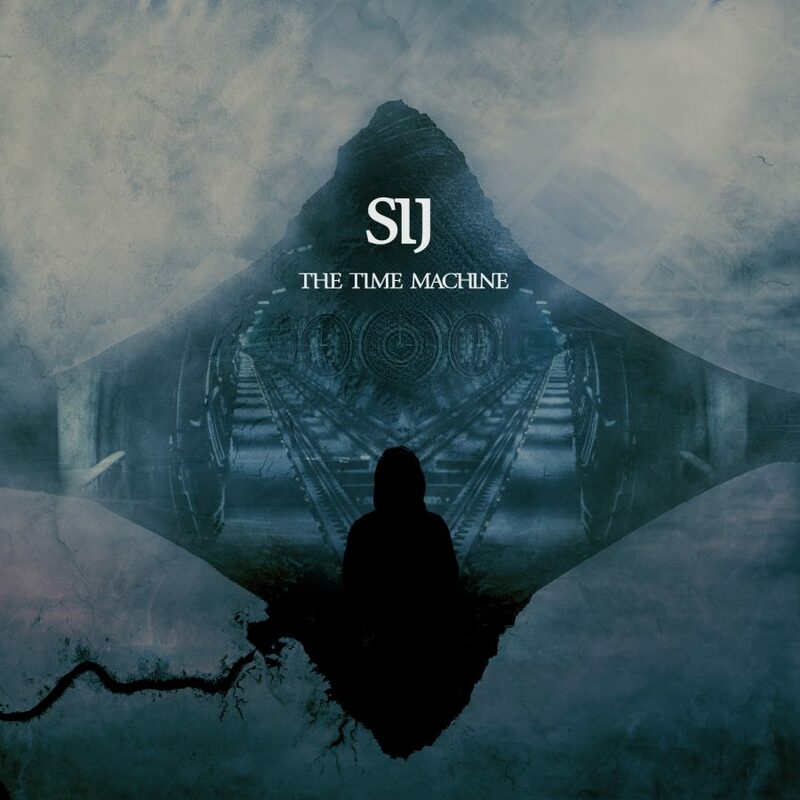 The Time Machine is possibly the best work to date by SiJ. He applies all the varied techniques he’s mastered over the years to this one album. Not only the technical achievement stands out, the use of a cinematic approach is clearly presented and followed through the album. We are given enough information to have a foundation, without being told what to think of the album’s shifts in plot. I would highly recommend The Time Machine to fans of active forms of dark ambient, sounds which will evolve over the course of the album. There is plenty here to stay entertained. Yet, like any good dark ambient album, it is easy to allow this to fall into a secondary role, providing an intricate background music to other activities.